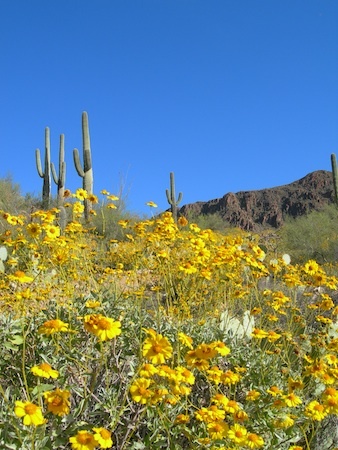 Pima County Natural Resources, Parks and Recreation invites the public to explore the beauty of the Sonoran Desert at a series of free Desert Discovery Days taking place at the Desert Discovery Center, 7798 W. Gates Pass Road. The family-friendly days offer visitors an opportunity to meet live desert animals, uncover the unique geologic story of the area, experience desert-adapted life on a guided nature walk, start their own desert food garden, and share their ideas for future events at the Discovery Center. Saturday, March 12 • 10 a.m. – 2 p.m.
Saturday, March 26 • 2 – 6 p.m.
Saturday, April 2 • 10 a.m. – 2 p.m. The Desert Discovery Center is a new location for outreach and education programs. Located near the west end of Gates Pass Road, this former ranch property was home to SASI (Sonoran Arthropod Studies Institute) until late 2013. Visitors “can explore different microbiomes and learn how a wide variety of animals (including humans) not only survive, but thrive in this unique ecosystem,” Wendy Burroughs, environmental education coordinator for NRPR, said. RSVPs are not necessary. For more information, contact eeducation@pima.gov, 520-615-7855.